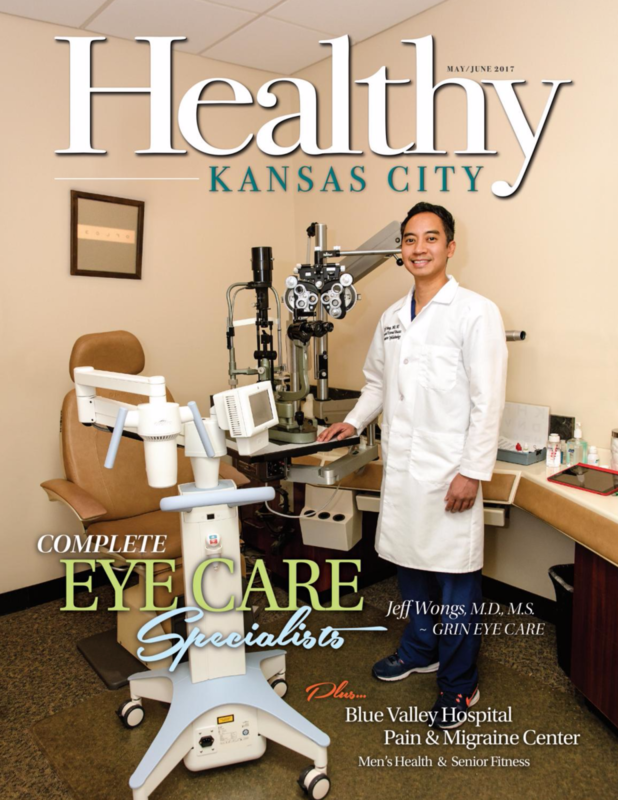 We are so excited that our very own Dr. Wongs is featured on the cover of this month's Healthy KC issue! The article gives a quick inside look at how Dr. Grinestablished one of the most trusted eye care clinics in Kansas City and over the past 28 years, has helped thousands of patients live life to their fullest potential by providing the most comprehensive and compassionate eye care. Dr. Wongs also discusses the cutting edge new surgical procedure he is performing in the office for people with corneal disease. Click the link below to see the full article and learn more! As always, please visit our website or call us if you have any questions or to schedule an appointment. We look forward to hearing from you!